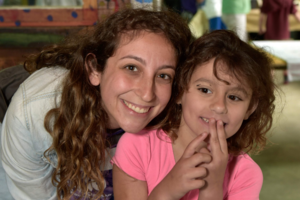 Providing families affected by autism a camp experience just as amazing as they are. Family trips and outings can be equal parts amazing and challenging. Now imagine what it's like for your family to spend time away from home if one of your kids is on the autism spectrum. There might be a tantrum, the food might not be right, what if the bathroom tile is the wrong color? These are all part of the minefield that parents at Camp Kaleidoscope tell us they deal with each time they leave the house. Now imagine a place where all those concerns melt away. Where you know your family, with all it's differences will be accepted, welcomed and even celebrated. 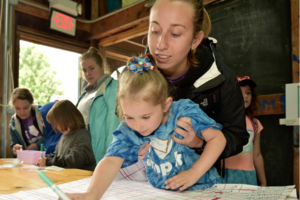 For the past 12 years that has been what Camp K has provided for families affected by autism. 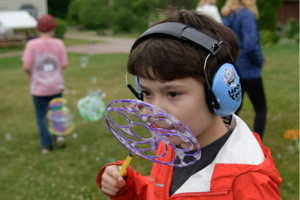 Each day at camp children attend activities specifically designed for their needs with the help of trained volunteers, meanwhile parents are able to connect, relax and learn from experts in the field of autism education and advocacy. Families with a child on the spectrum can expect to spend an average of $17,000 a year on specialized care and services. With all those extra costs it's critical to us that Camp K be accessible to every family who wants to attend regardless of their ability to pay. Each year CGC dedicates $15,000 in financial aide for families to attend this amazing program. Your donation helps make that happen. 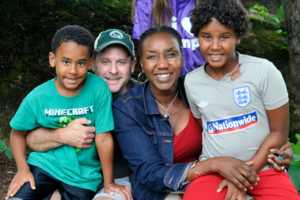 Since 1994, hundreds of families from all around the world have come together as part of our unique family camp programs, creating lasting relationships with one another while engaging in life-long learning and community building. Our vision for a better world begins with healthy families and communities in which diversity is honored and celebrated. Join us in creating a place where families—in all their forms—come to learn, play, and grow together. A place where families of different economic and cultural backgrounds have the opportunity to become part of a shared community, connecting and learning from one another. A place where stereotypes and prejudices are dissolved and where individual and family wellness is nurtured.